Rethinking the Work of Geographical Indications: Decolonizing Geographies of Racialised Labor. 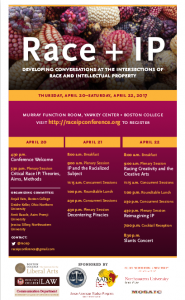 Race and Intellectual Property Conference. Boston College, April 20-23.